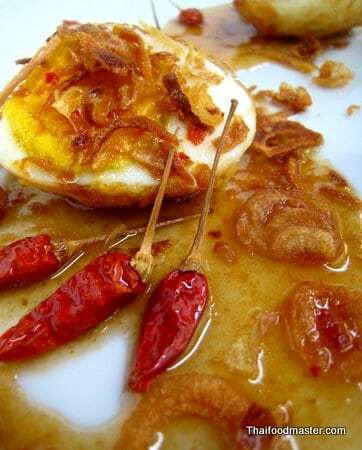 Ajat is extremely simple yet elegant, and when you include it side to deep-fry or oily dishes, it is a knockout. 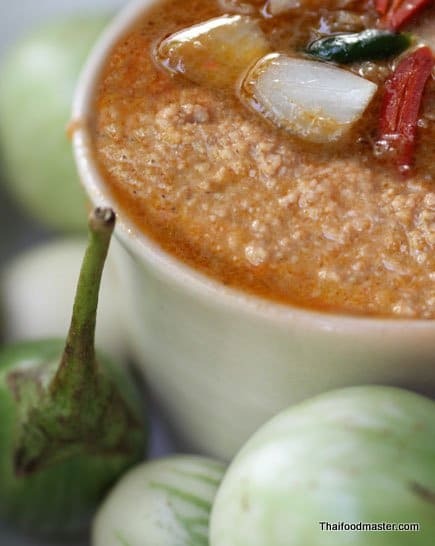 Ajat is commonly served alongside Satay, Murtabak, Fish cakes and other deep fried snacks. Its sweet and sour syrup helps to mellow down the oily richness. You can prepare the syrup ahead of time and assemble it just before serving. Prepare the syrup by completely dissolving the sugar and salt in water and vinegar over low heat. Let the syrup cool down to room temperature. 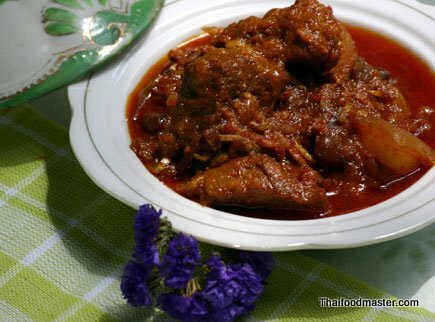 This recipe comes all the way from India through the northern Burmese border. The masala spice mix is still sold in small packages with retro looking prints that seem to forever exist. There is no way in a recipe to communicate what’s going on in here; a thick red chili paste marinate, that bursts in orange turmeric color, provides the perfect seen to the tender, almost falling apart, pork meat. 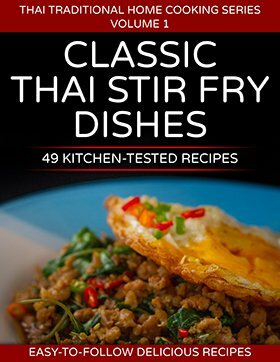 The first Thai restaurant in London was opened during the 1960’s by HRH Princess Jurairat Nasiriman (1910-2000) (พระเจ้าวรวงศ์เธอ พระองค์เจ้าจุไรรัตนศิริมาน), the granddaughter of HRH King Mongkut (Rama IV). 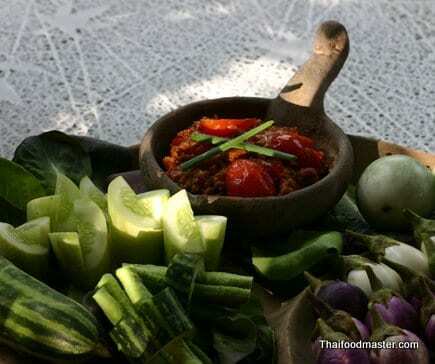 Princess Jurairat chose to offer this salad on the menu and named it “Salad of Thai Milkweed Flower”. (Other names: Cowslip creeper, Telosma Cordata). 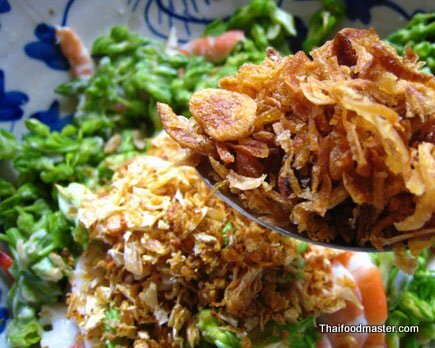 This fresh and tasty salad is so vibrant and easy for us to enjoy, it takes in the very basic flavors, sweet, salty, hot and sour and wrap them in a creamy coat of reduced coconut cream. The milkweed flower buds retain their crunchiness and their pleasant fragrance with only a gentle and very quick blanching in sweet boiling water.